Pioneer DJ is proud to introduce a new pair of stylish headphones that look great and sound superb - the HDJ-700. The robust, fully enclosed HDJ-700 is fine-tuned to reproduce rich, clear mid-to-low frequencies for monitoring dance music, and has a simple, sleek design with color options to suit every style. This latest addition takes inspiration from Pioneer DJ's top-flight headphones - the rotating ear cup with rubber grips enables easy one-ear monitoring, while the replaceable cable prolongs the life of the headphones. With soft, snug-fitting ear pads, and a sturdy, lightweight headband, DJs receive a comfortable fit as well as peace of mind that their headphones will stay in place. Available in four designs - matte black, matte black with a gold or red stripe, and cool white - the HDJ-700 has a distinctive style of its own. 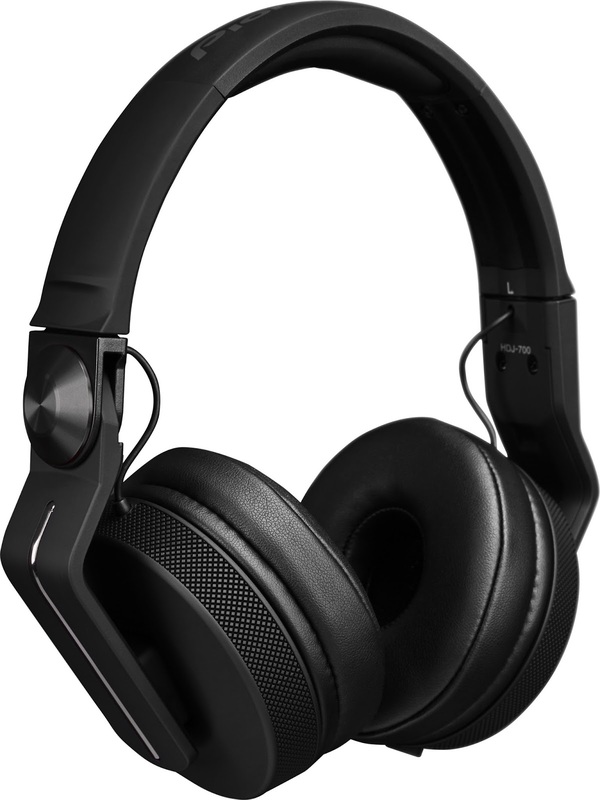 The HDJ-700 will be available in late September 2015, with a retail price of $129.00. Fine-tuned for clear mid-to-low frequencies and accurate monitoring: The HDJ-700's audio circuitry is optimized for monitoring dance music. Narrow ear pads and 40 mm driver units with rare earth magnets ensure a powerful bass sound, while a thicker than usual (19 micrometer) diaphragm and a copper-clad aluminium wire (CCAW) voice coil accurately reproduce kicks and snares. Tough, durable build and replaceable cables: The HDJ-700 inherits a rugged, stainless steel headband from the HDJ-1500 to ensure a long life of service. The headphones come with two interchangeable side-mount cords: a 1.2m coiled cord - which extends to around 3m - and a 1m straight cord. Soft ear cups for a snug, comfortable fit: Soft, textured polyurethane ear cups fit the ear snugly and ensure the DJ's comfort over long periods of use. Design and rotatable ear cups inspired by the top-flight HDJ-2000MK2: Spin-finished aluminium hinges, a lightweight build and the sleek, stylish design are all inspired by Pioneer DJ's ever-popular flagship headphones. Plus, the HDJ-700's right earpiece can be rotated forwards or backwards by up to 60 degrees to enable one-ear monitoring, while the handy rubber grip makes it quick and easy to put the cup back in position.